Finance and the Public Service Minister, Dr. the Hon. Nigel Clarke (centre), responds to questions during a panel discussion at the Caribbean Policy Research Institute (CaPRI) Annual Budget Review and Public Forum, held at The Knutsford Court Hotel in New Kingston, on Monday (March 25). Also taking part (from left) are JN Group Assistant General Manager, Dr. Dana Morris Dixon; and CaPRI Executive Director, Dr. Damien King. Finance and the Public Service Minister, Dr. the Hon. 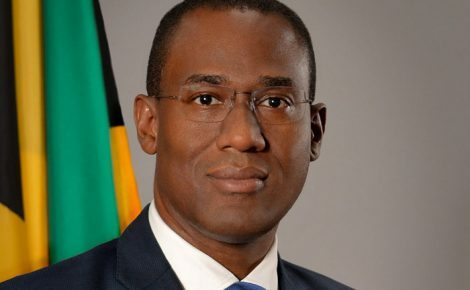 Nigel Clarke, says measures under the Economic Reform Programme (ERP) are generating the fiscal space to facilitate increased Central Government capital expenditure. This, he notes, is evident over the last five years, during which inflation-adjusted programmed expenditures have increased by 162 per cent between fiscal years 2014/15 and 2019/20. The Minister was speaking at the Caribbean Policy Research Institute (CaPRI) Annual Budget Review and Public Forum, held at The Knutsford Court Hotel in New Kingston, on Monday (March 25). Dr. Clarke pointed out that the $72.1 billion earmarked for 2019/20 is a five per cent increase over the figure in the 2018/19 Revised Estimates, adding that the Administration’s action reflects a focus on effectively addressing concerns prioritised by citizens. “We are coming from a place… where we would sacrifice capital expenditures for others that only affect today. Capital expenditure, today, has an effect over a long period of time,” the Minister said. Dr. Clarke noted that recent polls and surveys indicate that security, jobs and the economy are among the major concerns for many Jamaicans. In this regard, he said it is imperative that a government, deemed responsive to the citizenry, craft a Budget that represents and reflects their concerns. The Minister emphasised that capital expenditure “can really change our circumstances”. “It is through capital expenditure that we can procure equipment which is necessary to deliver on the desires of the country. Improvements in the quality of life are greatly correlated with our ability to increase capital expenditure… which is why it has been such a focus of the Government,” he added. Dr. Clarke said while the Administration has made significant headway in boosting capital expenditure as a percentage of gross domestic product (GDP), “there is a lot more that we want to be able to do”. He emphasised that this requires the generation of higher levels of sustainable economic growth, in light of prevailing “rigidity” in the Budget, including programmed provisions for wages, salaries and allowances; pensions, and interest payments. “This means that the room which exists is not as large as we would want it to be, to deal with all the needs of the society,” the Minister said. “So, improvement in the quality of life largely derives through [the] ability to engage in capital expenditure for physical and social infrastructure. That’s exactly what we are doing… but we want to do more,” Dr. Clarke added.